Hal Culpepper, 1, M, MS.
Ann Maddox, 22, F, Wh, Asst. Keeping House, MS.
H. A. Culpepper and Nancy Reese married 3 Dec 1879 in Oktibbeha Co., MS.
Nannie Culpepper, DauL, F, Sng, Wh, 24, At Home, MS/MS/MS. Claude Reese Culpepper, Age 24, Moss Point, Jackson Co. Co., MS. Born 20 Feb 1892 in Moston (Mathiston, Webster Co.), MS. Self-employed Mechanic. at Moss Point, Jackson Co. Co., MS. Dependents: None. Single. White. Prior military service: None. Claims No exemption from draft. /s/ Claude Reese Culpepper. Tall height, Medium build, Blue eyes, Dark hair, Not bald, No disabilities. 5 Jun 1917, Jackson Co., MS.
Claude Reese Culpepper, 23 Jan 1943, 50 Years, Rapides Parish, LA. Larry D. Kingsley, compiler, e-mail address, The King's Meadow, Rootsweb: WorldConnect (online family tree). Fiedler M. M. Beall, Colonial Families of the United States Descended from the Immigrants, Washington D.C.: Chas. H. Potter & Co., Inc., 1929. Announcement of the marriage of Miss Mittie Lou Culpepper and Mr. Harry Baldwin has been made to take place on the sixteenth of this month. Miss Culpepper is the daughter of Mr. Gardner Culpepper who lives near Talbotton and is a young lady who has many friends. Mr. Baldwin is a prosperous and well know merchant of Baughville. On Wednesday afternoon of the 16th, inst., at the home of Mr. and Mrs. N.G. Culpepper a number of friends and relatives assembled to witness the marriage ceremony of Miss Mittie Lou Culpepper to Mr. Harry Williams Baldwin. Misses Nora and Lovie Culpepper received most cordially the invited guests as they assembled. Just as father time was announcing the hour of three, the bridal party marched into the parlor, where a most beautiful ceremony was performed by Elder D.F. Woodall. The color schemes of pink and white were simply, but beautifully carried out. The flower girls, Janie Culpepper and Eleanor Wilson, were both attired in pure white; one bearing a beautiful basket of pink chrysthamums, while the other carried pure white. The parlor was gracefully decorated with wild smilax, and a beautiful mound of ferns, begonias, oranges and other pot plants formed a most charming background for the bridal party. Shortly after many congratulations were extended to the happy party, they were accompanied by a number of friends to the residence of Mr. R.L. Baldwin, brother of the groom, at Waverly Hall, where they were given a reception. Mrs. R.L. Baldwin, assisted by her sisters, Misses Lillie and Nettie Mae Byrd, received the guests. The bridal party received quite a number of very handsome presents in Waverly Hall as well as at the bride’s home. On Thursday the 17th they were given a reception at the residence of Robert Baldwin, Sr., father of the groom. After many hours of enjoyment were spent the friends and relatives extended many good wishes to the happy party and left them anchored out upon the sea of life. Mittie L. Baldwin died 10 Jun 1966 at 84 years in Monroe Co., GA; Res. in Talbot Co., GA.
Jeannette Holland Austin, compiler, Georgia Bible Records, Online database at Ancestry.com, 2002. Matthew Gardner Culpepper Bible, p. 214 (This is actually the Nathan Gardner Culpepper Bible). John Culpepper, Brother, M, Mar 1849, 51, S, GA/GA/GA, Farmer. Mrs. Julia R. Culpepper, d. 28 Nov 1935 in Talbot Co., GA.
+ Julia Brooks Culpepper, 6 May 1860 - 28 Nov 1935. N. G. Culpepper (White), d. 2 Aug 1943 at 91 years in Talbot Co., GA.
Talbotton City Cemetery (Originally Oak Hill Cemetery), Talbotton, Talbot Co., GA.
+ Mattie Lou (Culpepper) Baldwin, 10 Jan 1882 - 10 June 1966. Harry W. Baldwin died 3 May 1954 at 85 years in Baldwin Co., GA; Res. in Talbot Co., GA.
John Culpepper, Brother, M, 61, Sng, GA/GA/GA, Farmer. TALBOTTON, Ga., Nov 12 (1957)- Mrs. Julia Spear, sister of Brooks Culpepper of Talbotton, died in a Columbus rest home today after a long illness. Funeral for Mrs. Spear, who was born in Talbot County in 1887, will be at 2 p.m. Wednesday at the Upatoi Primitive Baptist Church, of which she was a member. Survivors include three sisters, Mrs. H.W. Baldwin, Barnesville, Mrs. O.A. 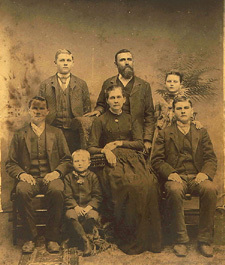 Wilson, Talbotton, and Mrs. Janie McClure, Atlanta; a brother, Brooks Culpepper of Talbotton and several nieces and nephews. 1894 giving birth to my grandmother, Jewel Spear Wilson. + Julia Culpepper Spear, 17 Mar 1887 - 12 Nov 1957. Janie Culpepper, Dau, F, 21, Sng, GA/GA/AL. E-mail written Feb 2014 to Warren L. Culpepper from Ken Dryden, e-mail address. Although he was admitted to the bar in Georgia in 1914, Brooks Culpepper states that only within the last few years has he devoted his full time to the practice of law. He is a native of Talbot County and a product of Georgia's public schools and colleges, a veteran of service with the American Expeditionary Force in Europe during World War I. For many years he has been one of the larger farmers in this county, and has developed a fine breed of pure Hereford cattle. Mr. Culpepper was for a long time a member of the Talbotton City Council and has served as mayor of the town prior to filling his present position as a member of the Georgia House of Representatives from Talbot County. He was born in a log cabin in the O'Neal District of Talbot County, on November 8, 1889. The Culpepper family goes back to pioneer days in this area, the subject's father, Nathan Gardner Culpepper, having been born here on March 8, 1852, eight years before the beginning of the Civil War. Mr. Culpepper's mother, the former Julia Rebecca Brooks, was born in Alabama on May 6, 1860. Brooks Culpepper grew up in this rural district of Georgia. As a boy he did farm chores, learned the ways of country life, of growing things, tended to livestock, and became familiar with life that depends upon the soil and its products. The public schools of Talbot County provided him with the standard education of that time from elementary studies through high school. After graduation from the county high school, Mr. Culpepper entered the University of Georgia as a member of the Class of 1908. He later transferred to mercer university in Macon, where he was awarded a Bachelor of Laws Degree with the Class of 1914. In that year he took the bar examination, passed it, and was licensed to practice in the courts of Georgia. His career was for many years centered in business and farming rather than in the practice of law. For a time he was in the service of the united States Government. This was climaxed by a tour of duty in Europe with the American Expeditionary Force. He remained in Europe after the war to serve on the Graves Registration Unit, returning to the United States and civilian life late in 1919. Mr. Culpepper came back to Talbotton, and entered business as a dealer and agent of the Standard Oil Company, remaining in this business for fifteen years. He then bought the Chevrolet agency, which he operated until 1955. His first real job had been as a rural mail carrier before he was graduated from college, and through being a native son and this mail carrying experience he knew nearly every person in the town and county. He has been interested in farming all his life, and during his other business ventures never neglected his acres of crops and livestock. In addition to the Georgia row crops, he grew several of the things this state is famous for, and paid considerable attention to livestock. In recent years this has been a major part of his interest. Mr. Culpepper had developed a fine heard of Polled Hereford cattle, and the breeding and raising of these animals was a major project on his acres. For many years he was only a part-time lawyer, an attorney on occasion. His privilege as an officer of the courts was used at intervals, and he represented himself and friends from time to time, but only in comparatively recent years has he really devoted the major part of his time and energies to the practice of law. His has been a varied career as government employee, soldier, automobile dealer and oil company agent, as farmer and breeder of pure livestock, and as attorney. He was also active in politics throughout his life, and held many offices in town and county. His services as a member of the Talbotton City Council were extended over a number of years. From 1925 to 1927, he was the mayor of Talbotton. Mr. Culpepper was elected to represent the county in Atlanta in the legislature, and is now serving in that capacity. He was a member of the Georgia house of Representatives. In Atlanta, he serves of three House Committees, those dealing with Education, Industry, and Natural Resources. He was secretary of the sub-committee for vocational education. A veteran of political office, he is at home in the legislative halls, and his representation has been heartily approved by his fellow citizens and voters in the effective place, at the polls. His legislative activities fit in well with his revived interest in the practice of law. His services with the United States Army in World War I lasted from June, 1918, to September, 1919. He was in France with the Chief Quartermaster Office of Supplies, but remained after the war to serve for a time with the Graves Registration Unit. During World War II he acted as agent for the Draft Appeal Board. He has held several positions of honor in the community aside from elective offices. For many years he was chairman of the School Board. He is also chairman of the Pine Mountain Soil Conservation District, and of the Housing Authority of Talbot County. Service affiliations include both the American Legion, which he has served as commander, and the Veterans of Foreign Wars. He has been active with the Farm Bureau for thirty years. His civic club is the Lions. Mr. Culpepper is a member of the Free and Accepted Masons, Scottish Rite, and of the Al Sihah Temple of the Shrine at Macon. 1. James Gardner Culpepper was born in October, 1928, is a graduate of the University of Georgia, and Auburn University in Alabama. He is married to the former Barbara Tyler of Talbotton, and they have two children: Beneta and Gardner Culpepper. 2. Eugene Brooks Culpepper was born in January 1931. He is also a graduate of the University of Georgia, and is now with the City Planning Commission in Savannah. Infant of Brooks Culpepper, d. 27 Nov 1926 in Talbot Co., GA.
Photographed say 1885� He appeared as a son in a family photograph say 1885 at Talbot Co., Georgia. William J. Culpepper, Son, 20, GA, GA, GA, Bookkeeper at Fertilizer Company. 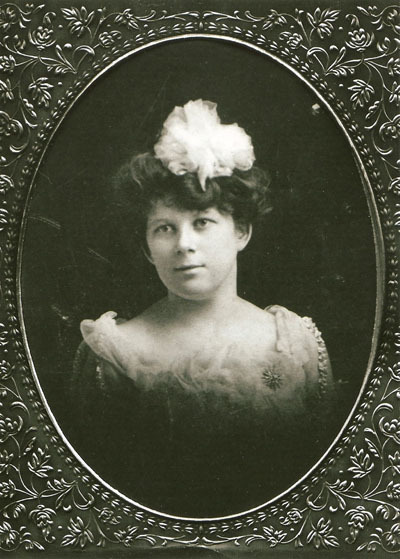 + Emily Evans Jeter Culpepper, 21 Mar 1882 – 21 Dec 1939. J. E. Culpepper, Boarder, Apr 1872, 28, S, GA/GA/GA, Salesman. Charles Younge, Other, M, S, B, 25, Servant, GA/GA/GA. Will G. Culpepper, Son, M, 8/12, Sng, GA/GA/GA. Ancesrty.com. Georgia, Marriage Records From Select Counties, 1828-1978 [database on-line]. Provo, UT, USA: Ancestry.com Operations, Inc., 2013. Talbotton New Era, 21 Apr 1904, Obituary of Simon P. Bickly (page 6), and "Memoriam" by Joseph E. Culpepper of Valdosta (page 7). Joseph E. Culpepper, d. 13 Aug 1966 at 62 years in Bibb Co., GA; Res. in Bibb Co., GA.
+ William H. Culpepper, (No Dates), Co C 3 GA C.S.A. + Ellen N. Biggs Culpepper, 11 Apr 1847 - 5 Oct 1926. J. E. Culpepper Sr., 13 Feb 1946 at 74 years in Lowndes Co., GA; Res. in Lowndes Co., GA.
+ Sarah R. Culpepper, 22 Apr 1879 - 17 Jul 1963. Sarah Culpepper, Wife, F, Apr 1879, 21, Md 0 yrs, GA/GA/GA. 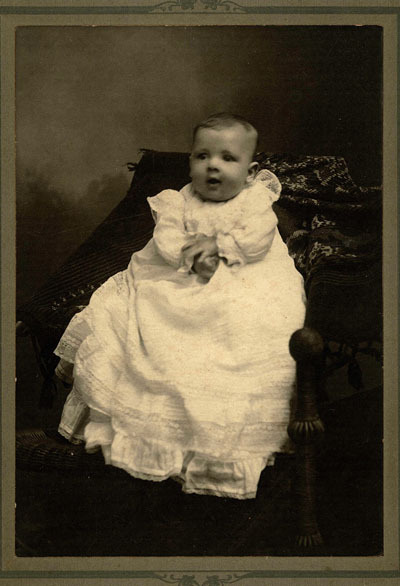 Walter K. Culpepper, Son, M, 1, Sng, GA/GA/GA. 20 Feb 2002. Obituary of James Henry Culpepper. William Culpepper, Son, M, 14, S, GA/GA/GA. Henry Culpepper, Son, M, 7, Sng, GA/GA/GA. Walter S. Culpepper, d. 21 Sep 1958 at 83 years in Muscogee Co., GA; Res. in Muscogee Co., GA.
Photographed say 1885� She appeared as a daughter in a family photograph say 1885 at Talbot Co., Georgia. + Lovia D. Culpepper, 2 Dec 1876 - 10 Sep 1966. Clifford Culpepper, Son, M, Nov 1892, 7, S, GA/GA/GA. Lucile A. Culpepper, Dau-in-law, F, 15, Md1-1 yr, GA/GA/GA. Lovie D. Culpepper, Dau, F, 41, Sng, GA/GA/GA. Lovie D. Culpepper, d. 10 Sep 1966 at 87 years in Muscogee Co., GA; Res. in Muscogee Co., GA.
Sara W. Culpepper, d. 17 Jul 1963 at 84 years in Muscogee Co., GA; Res. in Muscogee Co., GA, 19566. Clifford R. Culpepper and Alene Sullivan, 25 Dec 1909, Houston Co., GA.
Allene Culpepper, Dau, F, 2 9/12, Sng, GA/GA/GA. 1. Barnie Jessie was born and died within a few days. 2. Betty Jane (26 Sep 1923 -- 2 Jan 1935) died of burns received in a fire at about age 12. 3. BJ Hawkins was born Dec 5, 1925 and died Oct 25, 1997. (he was my father) They just gave him initials, and then when he joined the Navy at age 16, he took on the name of Barnie Jessie Hawkins, Jr.
4. Rebecca Dean Hawkins, born around 1927. 5. Walter Lewis Hawkins, born around 1933. + Annie Culpepper Hawkins, 5 Jul 1901 - ____. Barnie J. Hawkins died 1 Jul 1955 at 60 years in Muscogee Co., GA; Res in Talbot Co., GA.
COLUMBUS, GA. - William Weston Culpepper, 97 of Columbus died Thursday, February 21, 2002 at St. Francis Hospital. Funeral Services will be held 11:00 AM Monday, February 25, 2002 at McMullen Funeral Home Chapel, with Rev. Emory Gilbert officiating. A private interment will be held in Riverdale Cemetery, according to McMullen Funeral Home. Visitation will be Sunday afternoon from 5:00 to 7:00 PM at the funeral home. Mr. Culpepper was born February 17, 1905 in Talbot County, GA, the son of the late Sarah Weston Culpepper and Walter S. Culpepper. He was a self-employed general contractor and was a member of East Highland Methodist Church. William W. Culpepper, d. 8 Nov 1982 at 56 years in Muscogee Co., GA; Res. in Muscogee Co., GA, 035874. Columbus, GA - James Henry Culppper, 88, of Columbus, died Monday, February 18th, at the Columbus Hospice House. Graveside services will be held at 11:00 AM Thursday February 21, 2002 at Parkhill Cemetery, with reverand Dan Gates officiating, according to McMullen Funeral Home, 3874 Gentian Blvd. Mr. Culpepper was born March 12, 1913 in Talbot County, GA, the son of the late Sara Weston Culpepper and Walter Simpson Culpepper. He as a self employed construction worker and a U.S. Navy Veteran of World War II. Mr. Culpepper was a member of East Highland Methodist Church. He was preceeded in death by his wife Blanche Cain Culpepper. Survivors include a daughter Kathryn Hightower of Smiths, AL: a step-son John C. Homer of Columbus; a brother William Weston Culpepper of Columbus; six grandchildren; 10 great grandchildren; and special friends, Jenny Mark and Katie Eckman of Columbus.